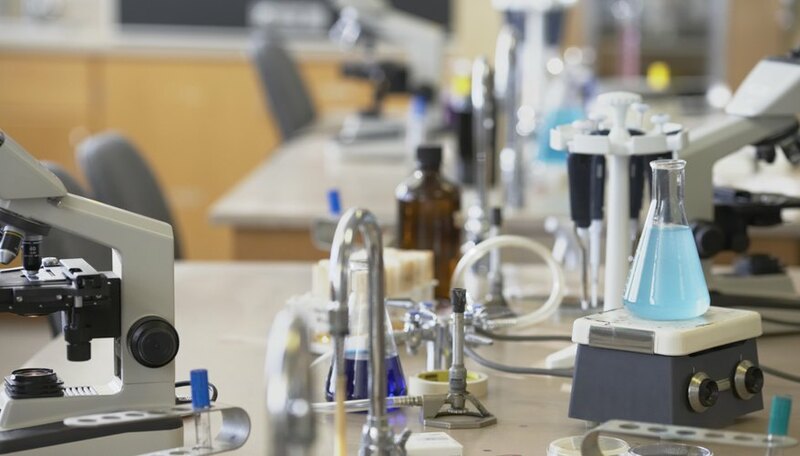 Laboratories are places where scientists and medical professionals conduct studies or perform other work relevant to their fields. Laboratories usually contain specialized equipment to help with such work. 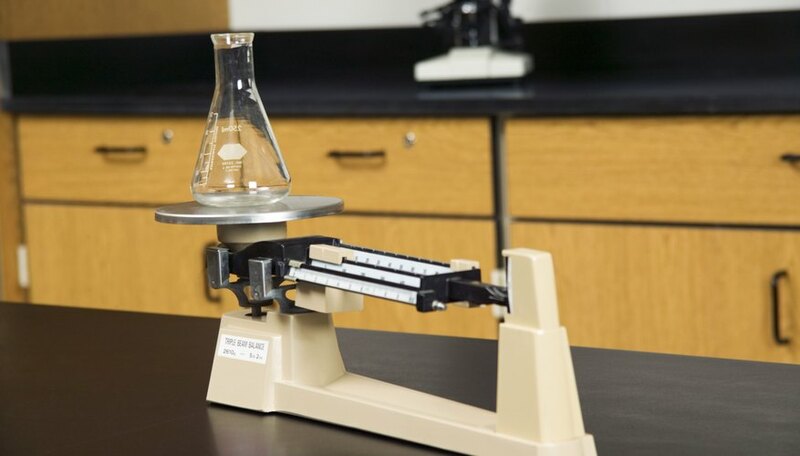 Some of the most common kinds of laboratory equipment can magnify, measure, ignite, weigh or hold various substances for a variety of purposes. Laboratories often contain specialized equipment. Microscopes help to magnify things that are too small for the human eye to see well. Volumetric flasks are a kind of glassware that can hold a certain volume of liquid. 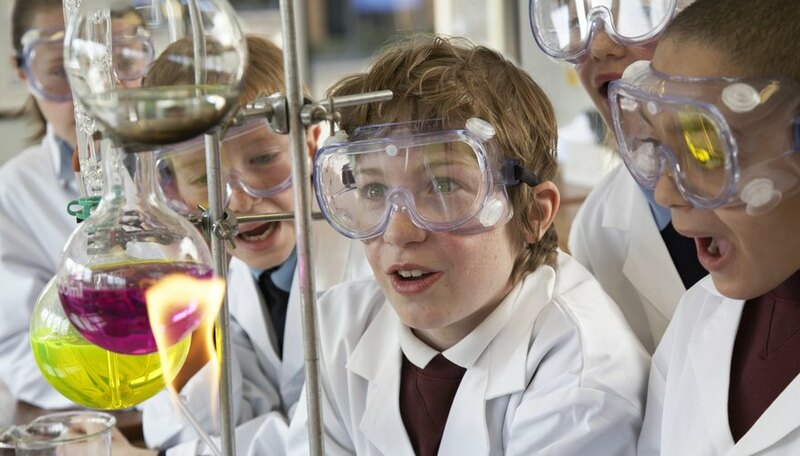 Bunsen burners help with heating, sterilization or combustion. Triple beam balances can accurately weigh objects. Test tubes can hold liquids. Voltmeters measure the voltage between two points in an electrical circuit. Microscopes allow humans to see things that are usually difficult or impossible to see with the naked eye by visually magnifying them. Originally invented in the 1500s, the first microscopes were only able to magnify objects to around three or nine times their normal size. Modern microscopes can magnify objects to thousands of times their normal size. They allow humans to see structures, such as the inside of cells, which would otherwise be invisible. Without microscopes, important breakthroughs, such as the discovery of germs may have never been possible. 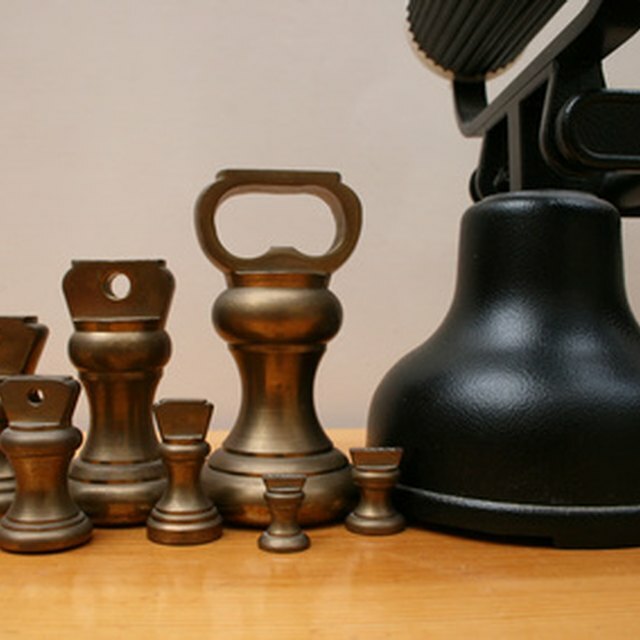 There are many different kinds of microscopes. 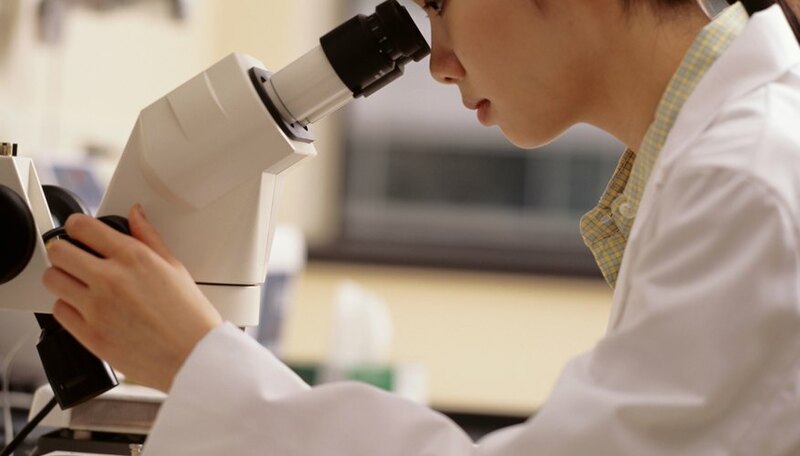 Compound microscopes are the most common in laboratory environments. Compound microscopes include a base, an illuminator to produce light for better viewing, a stage with clips to hold specimens in place, lenses that provide different levels of magnification and an eyepiece through which a person can look. Volumetric flasks are a kind of glassware commonly used in laboratories. These flasks help measure liquids and are more accurate than common measuring cups or flasks. This is because volumetric flasks can hold a precise amount of liquid. For example, a 500-milliliter volumetric flask can only hold 500 milliliters of liquid and no more. Volumetric flasks are popular among chemists since certain reactions require using precise amounts of liquid chemicals. Bunsen burners are small gas burners that produce a single open flame. They are common in the laboratories of chemists and in school laboratories because they help students observe chemical reactions. The heat from a Bunsen burner can sterilize equipment, heat chemicals to produce specific reactions or facilitate combustion. In a laboratory, you need to know the mass of certain objects, specimens or chemicals with precision. To do this, scientists and medical professionals often use a triple beam balance. A triple beam balance is a kind of scale that gives an accurate reading of mass using three beams, each marked with different gram increments. The smallest beam is the most precise, using increments of 1 to 10 grams. The middle beam uses increments of 10 grams, while the largest uses increments of 100 grams. Weights attached to each beam can move back and forth. This causes a pointer at the end of the beams to move up and down with the changing weight. When the pointer reaches its zero mark, the mass of the object being measured is ready to record. When using a triple beam balance, it is helpful to start by looking at the largest increments first and work backwards. 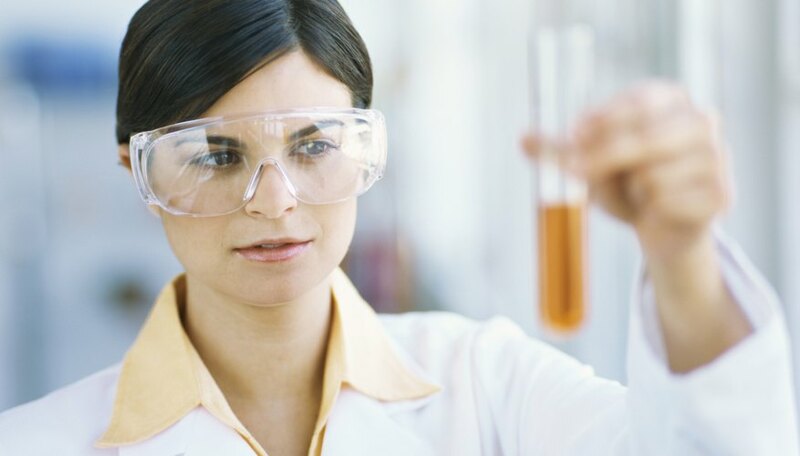 Test tubes are another type of glassware commonly used in laboratories. Unlike volumetric flasks, not all test tubes help with measuring. Many test tubes, which are usually around 3 to 6 inches long, are completely unmarked, and help with viewing, holding or transporting chemicals from one vessel or location to another. A voltmeter is a kind of electronic meter that measures the voltage between two points in an electrical circuit. 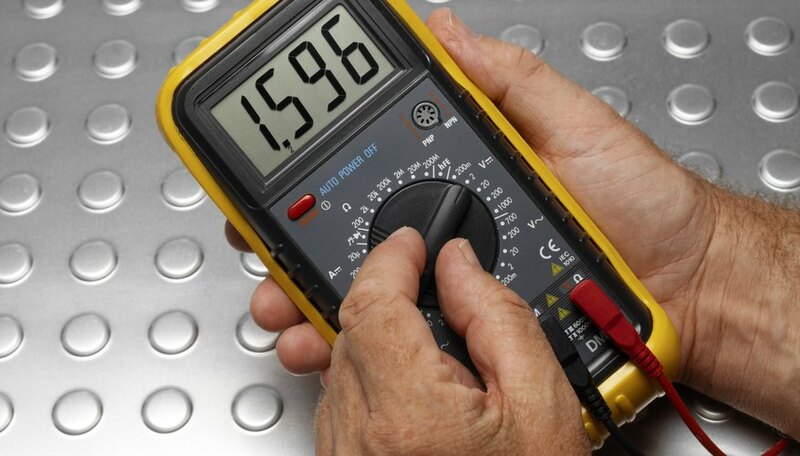 Some voltmeters help measure direct current (DC) circuits such as those found in batteries, while others measure alternating current (AC) circuits such as those found in home electrical outlets. Scientists can use voltmeters to measure the voltage of certain electrical reactions that may occur during experiments in their laboratories. Most modern voltmeters are digital and display the measured voltage as numbers on a small LCD screen. Cook, Maria. "Common Laboratory Apparatus With Their Uses." 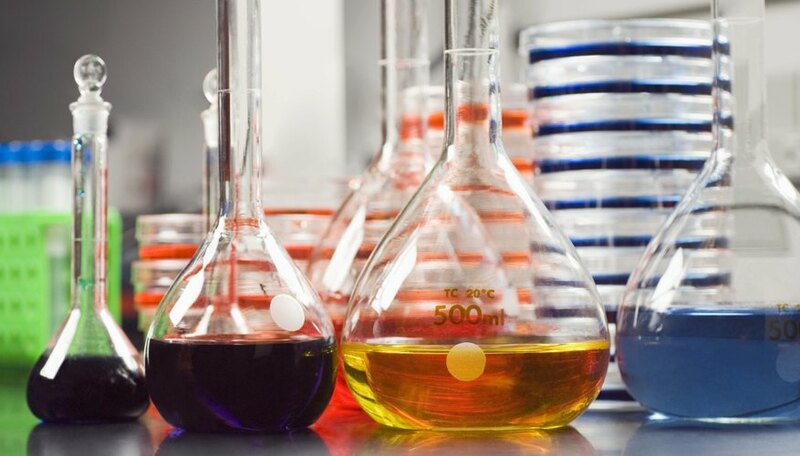 Sciencing, https://sciencing.com/common-laboratory-apparatus-uses-6360875.html. 17 April 2018.